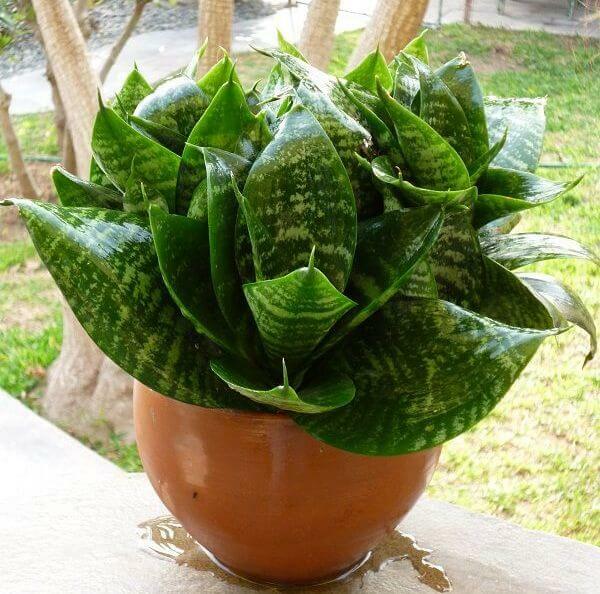 Sansevieria trifasciata Hahnii (Birds Nest Snake Plant) is a popular indoor plant. It has dark, glossy leaves are funnel-shaped and form an elegant rosette of lush succulent foliage with horizontal grey-green variegation. It can bloom in summer or autumn with sweetly fragrant greenish-white flowers. Birds Nest Snake Plant an excellent plant for purifying the air and removing toxins. Birds Nest Snake Plants are mildly toxic if eaten. Keep away from children and animals. 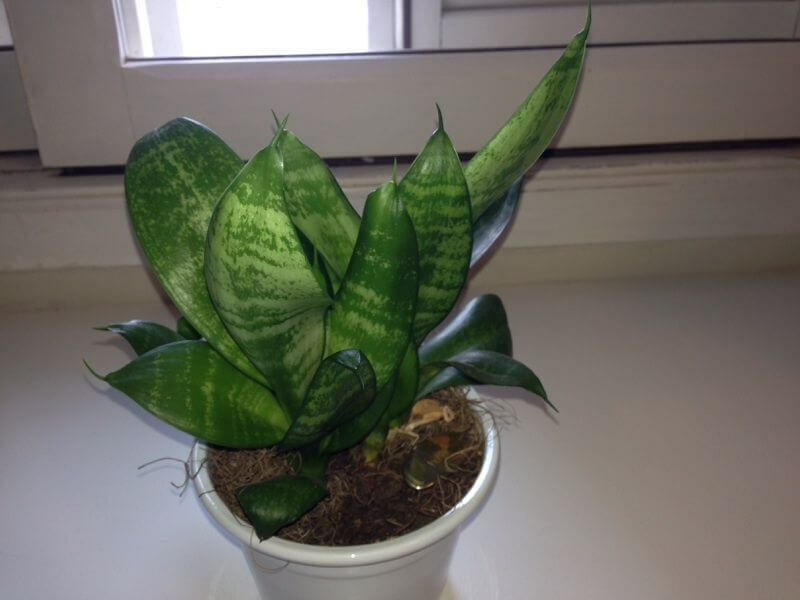 Common Names: Birds Nest Snake Plant, Dwarf Mother-in-Law Tongue, Bird’s Nest Sansevieria.